The Welsh Baccalaureate Teachers Conference is hosted by the School of Social Sciences.  The annual event takes place during the summer term and is aimed at teachers who support and deliver the Welsh Baccalaureate Qualification in key stages 4 and 5. The skills based conference is also suitable for any teacher wanting to undertake action research in their own school or college. The Conference programme is delivered by researchers from across Cardiff University together with advisory teachers and partner organisation. The day long programme includes workshops and lectures which aim to support teachers by increasing their confidence in teaching research skills. The day provides teachers with the opportunity to meet and speak with researchers, access bespoke resources and engage with colleagues from other schools and colleges to share ideas and network. Follow the links below to find out more about past events and access online resources. using the Cardiff University Harvard referencing style.  Researchers from across the University have been working with the WJEC to provide research proposals for the Individual Project relating to their area of research. Teachers and learners can access all of the approved Proposals via the WJEC resource page. Learners can now access contemporary and real life research proposals to help them formulate their own titles. The learner will be able to undertake research related to their future degree course, linked to the University they want to apply for, and for future employment. The Schools Partnership Project is managing the project in conjunction with the WJEC and these will be posted as they become approved. To view the Proposals currently available on the WJEC website, please click on the title here. - Once you have reacher the 'related documents' page scroll down to view the Individual project Proposals. - Find the subject of interest, click on the link and scroll through the different proposals offered by each of the participating universities. 1. Human geography - Explore case studies on cultural, development, economic and social geography, as well as sustainability and the environment. 2. Physical geography - Discover physical geography with case studies covering issues such as climate change and coastal management. 3. Research methods - Learn about various research methods used in the field of geography. The Welsh School of Architecture has developed a series of teaching and learning materials, focusing on introducing architecture that will assist in the delivery of each of the Welsh Baccalaureate Challenges, along with assisting in the development of the Individual Project. Five undergraduate students have been working towards this series of exciting lessons and materials to help teachers of the Welsh Baccalaureate successfully deliver the qualification. The Schools Health Research Network is a group of 212 secondary schools across Wales who have joined forces with researchers and other organisations supporting young people’s health to increase the quality, quantity and relevance of school-based health improvement research in Wales. Visit their website to find out more. The Science in Health Public Lecture Series are free events that attract a diverse audience including the public, secondary school pupils and professionals. The series aims to open up areas of concern in health care and present new research on health issues to the public. The lectures are held on Thursday evenings, running from October to June in the large Chemistry Lecture Theatre of the University Main Building. The lectures are free and no booking is required. Local year 12 and 13 pupils have the opportunity to meet with the speaker prior to the lecture. If you are a year 12 or 13 pupil and wish to meet with one of the forthcoming speakers, please contact Medic Engagement. 3. Evaluating the credibility of information used in terms of currency, comprehensiveness, validity and reliability. Cardiff University Library Service has developed the Evaluating the Evidence suite of tutorials to support learning and teaching on these assessment critera. This video was developed to help students and teachers alike. It is a selection of simple tips and tricks to improve the accuracy and relevance of your results when searching via this popular search engine. It is a serious academic offence to use the words or ideas of others without acknowledging them as such, and to submit them for assessment as though they were your own work. Plagiarism is a commonly misunderstood problem and is often committed accidentally, but ignorance or confusion is not an adequate defence against an accusation of plagiarism. Cardiff University library Service has created a series of Plagiarism Learning Objects to help students understand what constitutes plagiarism and how to avoid committing plagiarism in their work. This video provides advice for students on common errors in citing and referencing, and some tips on how to avoid charges of plagiarism. Developed by the University Library Service, this flowchart (presented as an image) offers a step by step guide through the process of evaluating information from websites. Welsh Baccalaureate: Is it plagiarism? Test your understanding of plagiarism with this quiz. It is a serious academic offence to use the words or ideas of others without acknowledging them as such, and to submit them for assessment as though they were your own work. Plagiarism is a commonly misunderstood problem and is often committed accidentally, but ignorance or confusion is not an adequate defence against an accusation of plagiarism. Cardiff University's Information Services have created a series of Plagiarism Learning Objects to help students understand what constitutes plagiarism and how to avoid committing plagiarism in their work. This tutorial aims to help you understand plagiarism and how to avoid committing it. It will take 15 minutes to complete. Cardiff University activities for schools and colleges. Please email teachers@cardiff.ac.uk with any queries or feedback. Back to Welsh Bacc this summer! View all blog entries here.. This site has been developed as part of our activities under the RCUK-funded School-University Partnership Initiative.